San Diego State University will offer vaccines against meningococcal B to students Friday in response to a recent outbreak on the school's campus. County health officials declared a meningococcal outbreak after a pair of undergraduate students at SDSU were hospitalized in September with meningococcal symptoms. Officials said a third SDSU student contracted the disease in June but she did not live on campus at the time and it was not connected to the current outbreak. County Public Health Officer Wilma Wooten advised all SDSU undergraduate students to get the vaccine or undergo treatment if symptoms develop. 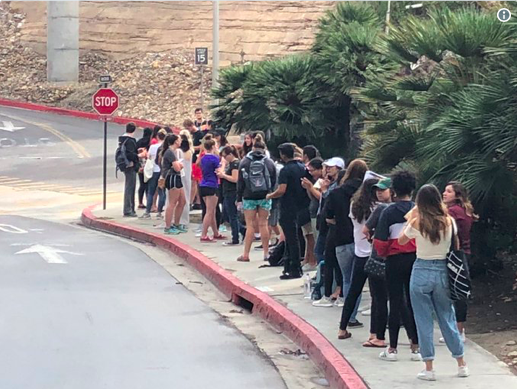 "Although most students on the SDSU campus have been vaccinated as teenagers with a quadrivalent meningococcal vaccine, many have not gotten the serogroup B vaccine, which is needed to protect against the bacteria that has caused these recent illnesses," Wooten said. "Meningococcal disease can be serious and deadly, so we want anyone to be alert for symptoms and seek care should they occur." SDSU Student Health Services will make clinics with the meningococcal B vaccine available from 10 a.m. to 5 p.m. at Viejas Arena. The school suggests that all undergraduate students 23 years old or younger get the vaccine if they haven't before. Kaiser Permanente and Walgreens will assist with vaccination efforts due to the county's supply shortage.